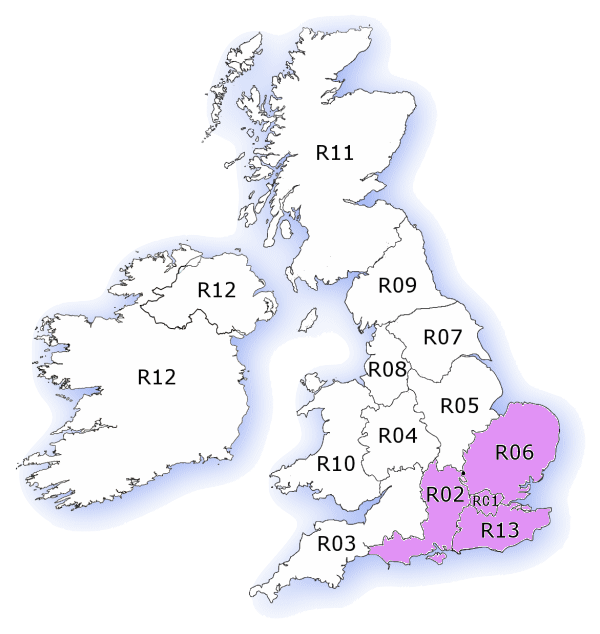 Please scroll down for details of our regional committees, or click on the map to visit regional pages. OUPS currently has active satellite committees in two locations (see map). The committees are run entirely by volunteers, often working mainly on their own to organise and run academic events and pubmeets in local areas. Click on the map for further details about the committees and the events they currently run. Local events are coordinated by the regional team, introduced below, where each committee Chair explains the level of events they are currently able to provide in their area. The team run events in major towns relatively close to where they live, supported by other local committee members. The frequency of events depends on the level of extra help available, which is very limited. We would love more help, but we often find that new volunteers feel unable to make a commitment to OUPS events above other life events. With large groups of OU students booking to attend our regional talks and overview days, we can only take on volunteers who are able to make OUPS a priority on agreed event dates. Our regional Chairs do a sterling job, having a proven track record of commitment to the OU days they run. London OUPS has always been a busy, active region which Amada has been involved with for a number of years, both as a student attending our events and now as Chair of the region. She runs the region with the help of David Byrne (Treasurer) and Michelle Newman (Secretary). Amada finished her psychology degree with the OU in 2014 and has also been national Secretary of OUPS since 2015. LOUPS run a variety of different events in Central London including an Annual Day Conference, Overview days, Pub Socials and a Mental Health Seminar. Alan has tutored for over 25 years on OU child development and cognitive psychology courses and is a popular tutor at residential Schools and OUPS Weekends. He has assisted in some course writing and has been an OU exam marker. He has an MA (in cognitive development) and a PhD (looking at human memory) from Cambridge University. Aside from his OU teaching, he worked for many years as a consultant in Organisational Psychology; advising organisations (e.g. Barclaycard, Scotland Yard, local government) on how to adapt to new technology; how to change work practices and how to present information more effectively. Since 2012 OUPS Cambridge has run annual Autumn conferences in the city of Cambridge and has also run additional events such as workshops and overview days when volunteers are available.